From the author of the bestselling Don't Sweat the Small Stuff series comes a beautifully designed journal for teens to record the stresses of everyday life. 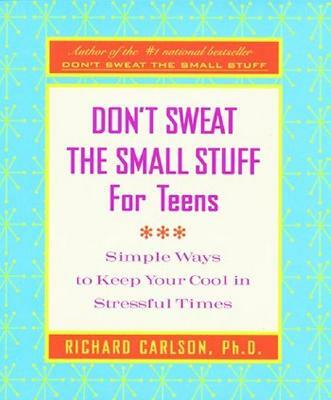 In Don't Sweat the Small Stuff for Teens, Richard Carlson, Ph.D., offered teens simple techniques for coping with life's everyday challenges. Now he offers them a tool in which to write about and reflect upon every facet of their lives: academics, sports, social situations, family life, money matters, even work. Filled with guiding questions for teens to answer, blank lined spaces for recording stressful moments, and inspirational quotes, the Don't Sweat the Small Stuff for Teens Journal is private space for teenagers to record and come to terms with their most intimate thoughts and fears.